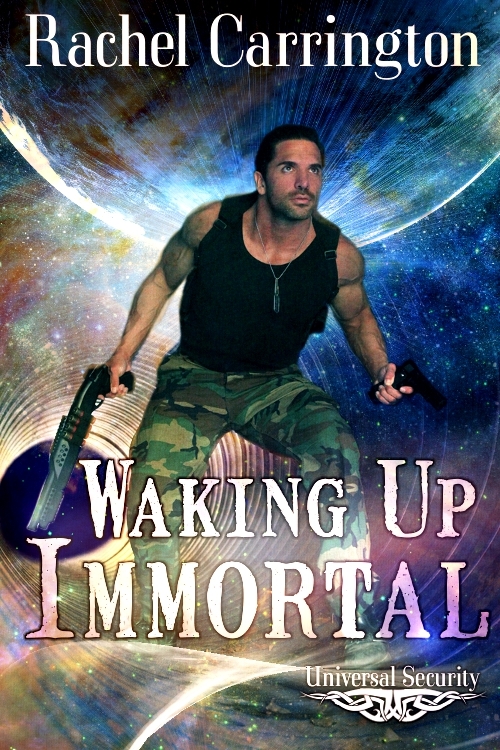 Today we have the lovely Rachel Carrington, author of numerous fantasy, paranormal romance, and romantic suspense novels and series, one being her latest release, Waking Up Immortal. Check out her interview below to get a better idea of the woman behind the book. Jennifer: Can you tell us a little about your writing and what you are currently working on? Rachel: I recently completed the first book in a paranormal/science fiction romance that is different from anything I’ve ever done before. It does lean toward urban fantasy, but it does have its fair share of paranormal thrown in. I like to challenge myself when I write so I don’t get complacent. I don’t ever want to write cookie cutter books so I try to challenge my characters as well. Jennifer: What has been the best and worst parts of the writing process? Jennifer: Who has influenced your writing the most? Rachel: I can’t really name one person as it has been a conglomeration of people. Fellow authors, friends, book bloggers, and readers all influence my writing. Not because I’m trying to please everyone, but because they care enough to provide input, to help me improve in the areas where I need to improve. Jennifer: What are three surprising facts about yourself? Rachel: I have a list of fun facts about me on my website, and I’ve shared several other facts in past interviews. So it keeps getting harder coming up with new things. J Hopefully, I haven’t listed these anywhere else. Up until about three years ago, I was allergic to coconut. Then one day I accidentally tried it, and nothing happened. So maybe I outgrew it years ago and just didn’t realize it until then. I live near the beach, but I don’t swim. I don’t want to learn how to swim, either. I recently made a goal to learn something new every year. This year I’ve been learning Spanish. I don’t know yet what I’m going to tackle next year, but it won’t be another language! Jennifer: It seems like Paranormal Romance was your main genre but you have also been branching out to other genres. Can you tell us a little about that? Rachel: I actually started out writing contemporary romance then I segued into fantasy romance before trying my hand at paranormal. I threw in a little science fiction in my newest series. As I mentioned above, I have to challenge myself. I’m fortunate in that I write extremely fast so I try to write a different genre of book each time. I also write romantic suspense as well, which is a genre I adore. I don’t think I’ll ever return to writing straight contemporary romance, but I will continue to shuffle genres as it keeps my creative juices flowing, and I enjoy the challenge. Jennifer: Can you name a few of your favorite books and authors? Rachel: I usually have favorite series rather than just a favorite book so I’ll list some of those. You can’t go wrong choosing a book from these series! Jennifer: Do you have any writing quirks you can share with us? Rachel: I don’t really have what you would call a quirk. At least, I don’t think I do. I did make a goal this year to write every day no matter what, and it’s been interesting figuring out how to get that writing time in with all the things that have been going on. I’ve written in some pretty strange places. Jennifer: Any writing advice you can share with those beginning writers out there? Rachel: Please learn as much as you can about self-editing. If you’re not familiar enough with grammar, take a free course online. You should know the basics before you send your book to an editor. Jennifer: Thank you so much for taking the time to answer my questions. Is there anything else you would like to add before we part ways? Rachel: Thanks so much for having me today. 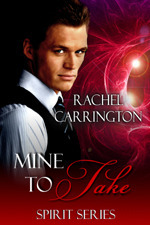 I have many different homes on the internet which include my website at www.dawnrachel.com, my Facebook page at rachelcarringtonwrites, my Twitter page @rcarrington2004, Pinterest @rcarrington2004, and Goodreads @ Rachel Carrington. I’m sure there are a few more I’m missing, but those are the basics. She has written quite a few. I must pick one up myself.